Reverend Kelvin Sauls of Holman United Methodist Church in Los Angeles, recently announced that he would transition now, from inside the church’s four walls to share his ministry with the community at large. More than words to spread the Gospel, Sauls said he wants spread it through his actions, most notably in the areas of homelessness, immigration and racial and environmental justice. His unequivocal commitment to the upliftment and betterment of “the least of these” will remain, he said. 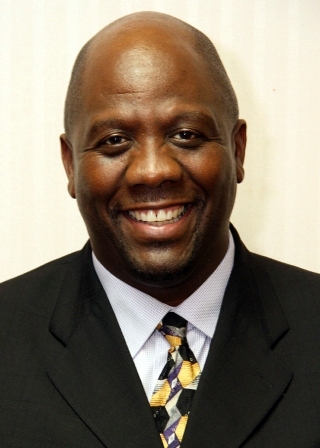 “As Pastor Sauls transitions from his pastoral leadership at Holman United Methodist Church, he is committed to following God’s call on his life in ministry and the vow that he made as an elder in the United Methodist Church to ‘lead the people of God to faith in Jesus Christ, to participate in the life and work of the community, and to seek peace, justice, and freedom for all people,’” said a spokesperson for Sauls via a statement released Monday. He was born and raised on the south side of Johannasburg in the Republic of South Africa. Confirmed in the Methodist Church in his youth Sauls was very active in church leadership. But it was the backdrop of the system of Apartheid in his country that nurtured a spiritual warrior in Sauls that would lead him to a style of activism that interwined mobilization and action with spiritual leadership, a style he would keep to as a Bishop’s Leadership Scholarship brought him to America to pursue a higher education. Now, “In his six-year tenure as the Senior of Pastor Holman United Methodist Church he has displayed courageous and visionary leadership through his passion for bridging multi-racial, multi-ethnic and multi-generational congregational vitalization for meaningful community transformation,” said Sauls’ spokesperson via this week’s statement. Sauls had been involved in a variety of causes while leading the congregation at Holman, usually ones that promoted his mission of fostering an environment of “hope and healing.” He headed up the Promoting Healthy Men Conference and the Women Rising event both earlier this year. He has also hosted notable people at Holman from Minister Louis Farrakhan to Senator Kamala Harris. With his transition, Sauls told the Sentinel Tuesday, that he is leaving a message for his congregation. “They need to continue to leverage their legacy,” he said. “Through his bold and bridge-building, collaborative and adaptive leadership, Holman has been re-launched as a progressive, prophetic, prevailing, and Pan-African faith-based and hope-filled humanitarian movement,” wrote Sauls’ spokesperson. In his 22 years of ordained ministry, Rev. Sauls has served both local congregations and general agencies in the United Methodist Church. Pursuing synergy between personal holiness, social holiness and environmental holiness, he said, is at the core of his involvement and collaboration with community-based organizations for local, regional, national and global collective and transformational impact. He said that his solidarity with migrants and immigrants resulted in his collaboration with Rev. Phil Lawson in co-founding the national and international movement, Black Alliance for Just Immigration (www.blackalliance.org). In addition to serving as the current Board Chair of BAJI, Rev. Sauls serves on the Board of Directors of National Justice for Our Neighbors (www.njfon.org), a national United Methodist program resourcing affordable and quality legal services for immigrants. He also co founded the Priority Africa Network (www.priorityafrica.org) , the South Los Angeles Transition Age Youth, Foster-care and Homeless Col­laborative (www.southlatay.org), Justice not Jails, a program that facilitates opportunities for individuals to re-enter society from prison. He was appointed by Mayor Eric Garcetti of Los Angeles to serve as a Commissioner on the Los Angeles Housing Services Authority (www.lahsa.org), a city and county agency to invoke and implement strategies to end homelessness. “With a vision for, and commitment to move underserved communities in South Los Angeles from health disparity to vitality,” Sauls serves on the Dean’s Advisory Council of the School of Medicine at Charles Drew University (www.cdrewu.edu). And, “With economic equity as indispensable to his holistic approach to community transformation”, Rev. Sauls is a founding Board member of the Black Cooperative Investment Fund (www.bcif.org). Seeking synergy between social justice and environmental justice, Rev. Sauls is the co-founder of a grassroots environmental justice movement in Los Angeles, Standing Together Against Neighbor­hood Drilling (www.stand.la.org). There will be a Sending Forth Worship Celebration for Pastor Sauls and his wife Rev. Judi Wortham Sauls, an ordained Minister in the African Methodist Episcopal Church, is scheduled for Sunday, June 24 at 11am at Holman United Methodist Church. A Community Celebration is scheduled for Saturday, June 30, at 5pm at the Conga Room in LA LIVE!! As of press time no announcement had been made about Sauls’ replacement.